Photoshop Brushes for Painting with Oil Texture - 416 Realistic Brushes! 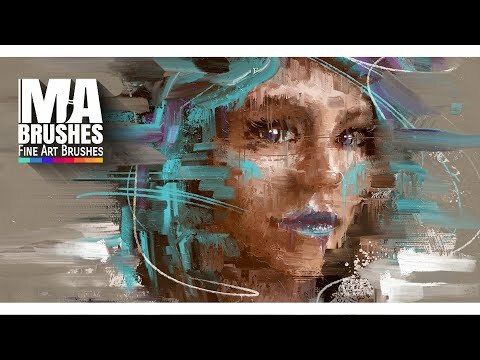 Powerful Artistic Photoshop Painting Brushes to push your Art to the next Level! Photoshop Brushes made for professional digital Paintings like Concept Art and Charakter/Environmental Design and also Portraits, Landscapes and abstract Paintings. Coming from traditional Art and working in the Game and Art Industry for over 10 years, I really was frustrated with all of the Photoshop Brushes available out there. So over many years, I’ve started to create and test thousands of Photoshop Brushes and put all my heart into it, to finally pick the very best 416 BRUSHES in an outstanding Fine Art Brush Pack – The MA-BRUSHES! These Brushes are absolutely unique, realistic and effective – A commitment guaranteed by myself as a Visual Artist/Concept Artist and Painter for over 10 years and also by considering all the positive feedback I am getting from the customers. ► Test it for yourself and see the below close-up Gallery and the Product Video. ► No stamps and no unrealistic patterns anymore! ► Just beautiful brush strokes and natural paint brush & knife textures to create wonderfull realistic and authentic Art – Your Art! ► The MA-Brushes are well sorted by category! Portrait Fine Art Brushes, round Brushes, flat Brushes, Filbert Brushes, Fan Brushes, Impasto brushes, scratchy Brushes, Canvas texture Brushes, Oil Brushes (Mixer Brushes), Palette Knives, diffuse Brushes (Clouds), Frost Texture Brushes (Oil Effect), Brushes for Grass, Brushes for Trees (also Evergreens), Brushes for Leaves, Rocks…. Along with the MA-Brushes you will get the Magic Canvas, which is a Photoshop file that includes 26 very special Fine Art Canvas Textures that also harmonize with the Brushes! This file has a 5000*3299 resolution so it is constructed for large paintings and prints. ► Through combining the MA-Brushes with the Magic Canvas you will achieve fantastic, ultra-realistic paintings! The MA-Brushes are perfect for.. 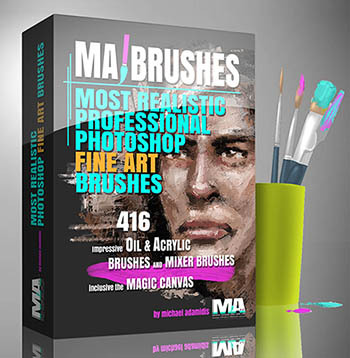 The MA-Brush Pack is a digital download product. You need an internet connection – Filesize 1,54 gb. 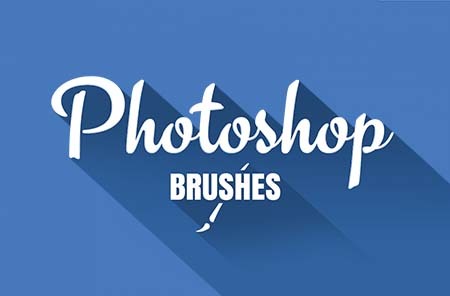 You need Photoshop CS5 or higher to use the brushes.